The wait is finally over for Miguel fans! After the success of Kaleidoscope Dream in 2012, he had announced a follow-up, which is due about 3 years later, on 30th June, just days away. The new album is called Wildheart, and needless to say, has generated enormous hype and fans are literally counting the hours with bated breath. 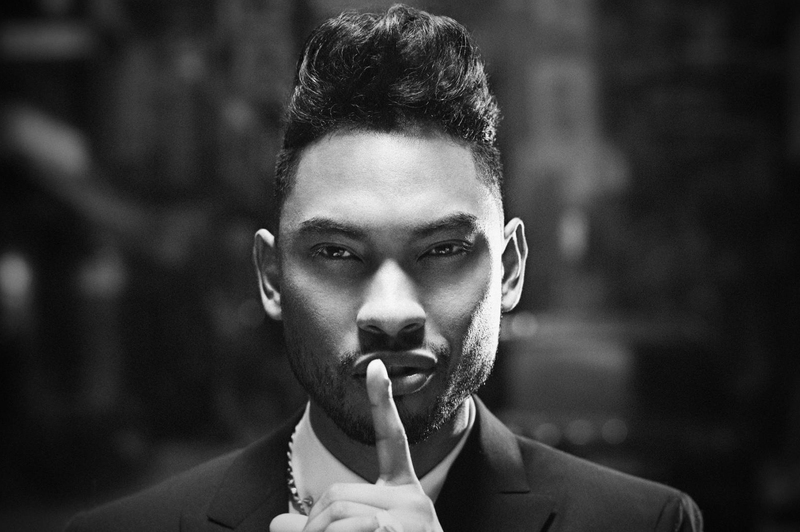 Right before Wildheart, Miguel scored several one-off singles and collaborations, which features duets with Jessie Ware and Janelle Monáe, Adult Swim song “Can’t Sleep Together”, and of course, his musical inputs to the soundtracks of the Girls and Hunger Games. The reason why there is an increasing buzz around Wildheart’s release is that he hasn’t been too forthcoming with details about the album. Although, he has admitted to working in the studio with Pharrell and producer DJ Premier, who is well-known for his association with D’Angelo, Jay Z, and Nas. To popularize his album, he shared “Coffee (F*cking)” that went viral instantly. It was basically a revamped form of the “Coffee Track” that originated about a year back, and was among the his surprise three-song EP in December as well. It features guest bars from Wale and highlights a double shot of sexual desire – a fantastic marketing idea that truly hit home! He is all set to hit the road for an official summer tour, where he exclusively promotes Wildheart. It starts in late July and spans across Houston, Atlanta, New York City, Toronto, Chicago, and many more. The final performance will be in Los Angeles at the onset of September. Pre-orders for the album have shot up like crazy on iTunes, and it looks like the Adorn star has yet another winner on his hands. Wildheart is supposed to be a love letter dedicated to his hometown of Los Angeles with strong influences of hip-hop tunes and rock music to portray how California soul sounds in 2015. Apparently, the music from the album is being streamed in certain regions already, before its release via NPR Music’s First Listen. The whole idea is to let fans enjoy the music and feel it, which is why the Grammy winner is staging a special First Listen Live performance at (Le) Poisson Rouge in New York City on June 30, before he heads out for his summer tour. Other First Listen Live performers include Arcade Fire, ScHoolboy Q, Iggy and The Stooges and Alabama Shakes. Special guest Dorothy, who performs in an LA-based band of the same name with guitarist Mark Jackson, bassist Gregg Cash and drummer Zac Morris, is joining Miguel on the tour. They mostly play traditional rock with a blues vibe, so it will be interesting to see what the powerful combination of Miguel and Dorothy will create.